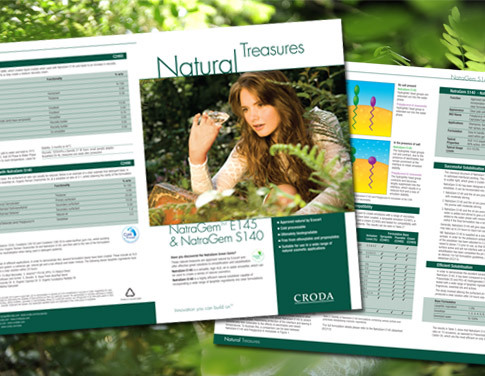 We’ve just produced the new NatraGem brochure for Croda Europe Ltd promoting their latest Ecocert approved product. I think we managed to find the only day of glorious sunshine in November for the location photo shoot with www.pauljones-photographer.com. 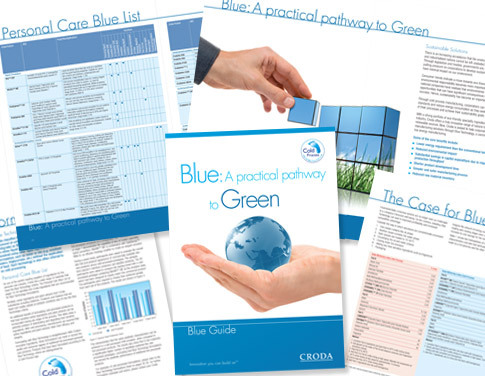 We have just produced the new sixty page Blue Guide brochure for Croda Singapore, promoting Croda’s cold process ingredients for the Personal Care industry. 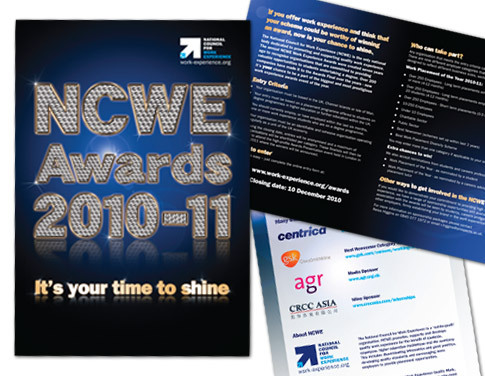 Chinese and European versions are also in the pipeline. 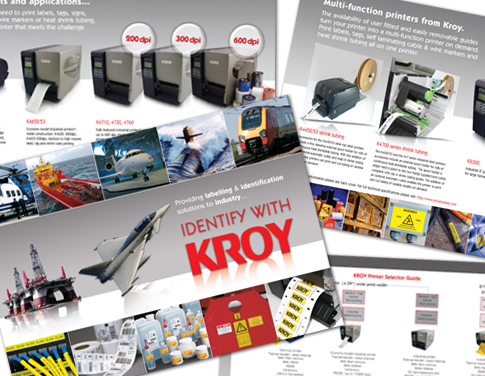 Dawson Design have recently produced several leaflets and adverts for Kroy one of the industry leaders in labelling & identification solutions. 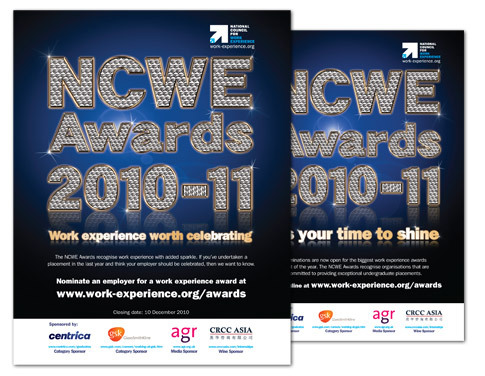 Dawson Design have been working with NCWE to produce the Advertising materials for the National Council of Work Experience Awards in 2011, including leaflets, adverts and sponsor packs. 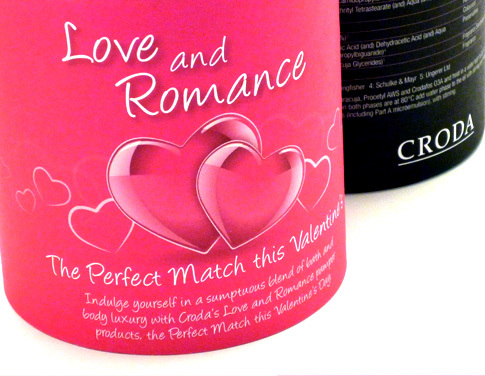 Did you indulge your loved one this Valentines? 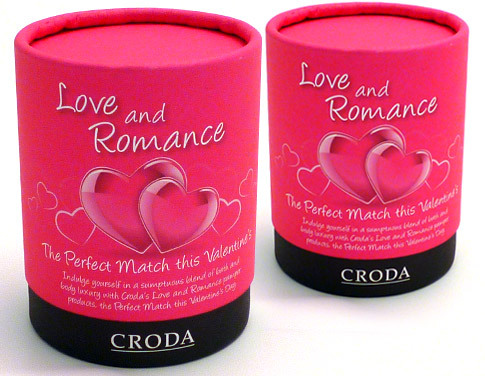 We all did with Croda’s Love and Romance pamper products, we have just produced the latest Valentines mailer for Croda International. 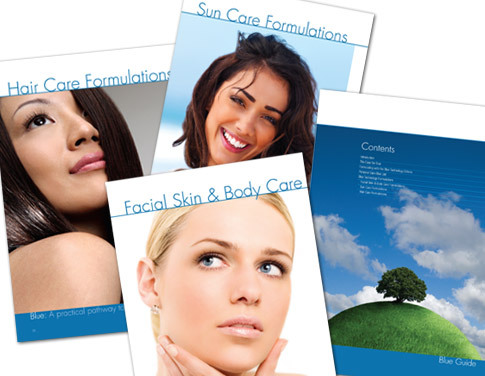 These pamper packs are being sent to key formulators to promote two new formulations from Croda. 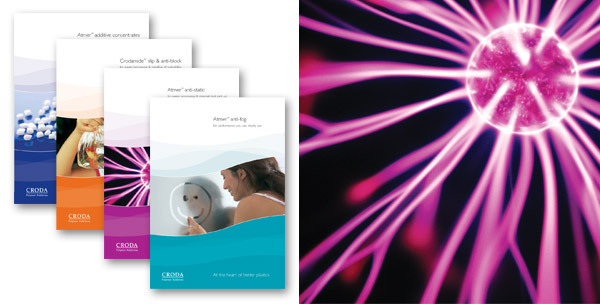 The fresh, new image we created for Croda Polymer Additives was recently unveiled at Chinaplas – Asia’s Number One Exhibition for the Plastics and Rubber Industries. 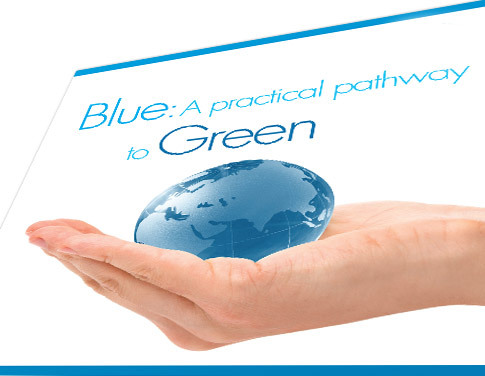 Chinaplas 2007, held in Guangzhou, China, was attended by over 1500 exhibitors from 36 countries and regions, displaying flagship products and technologies for the plastics and rubber industries. 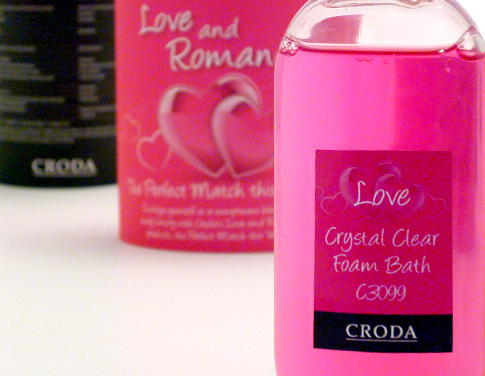 The Croda stand, which unveiled a brand new image for Polymer Additives attracted many visitors from all over the world. 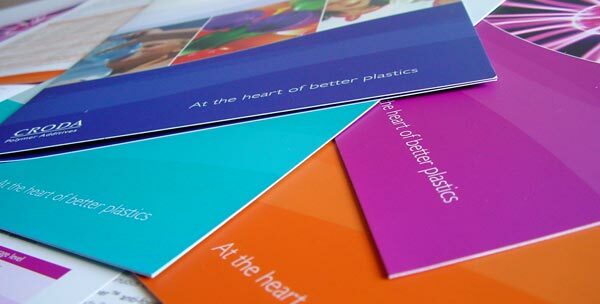 The challenge for Polymer Additives Marketing Communications this year was to take the best of both Croda and Uniqema, and position the ‘new’ Polymer Additives business unit in the market. 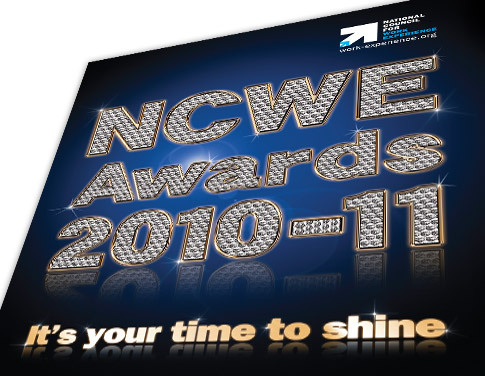 The introduction of new exhibition graphics and marketing literature, including an updated product guide, was the ideal opportunity to do this. 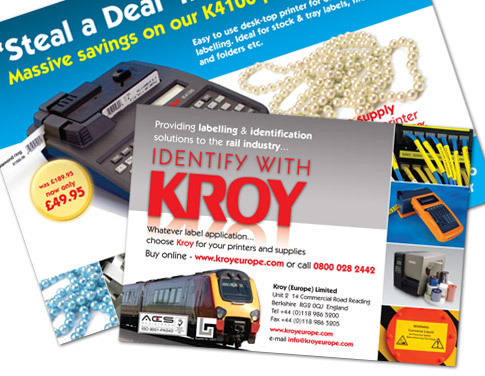 The fresh new design also incorporates a new tagline to enhance the company’s brand identity.